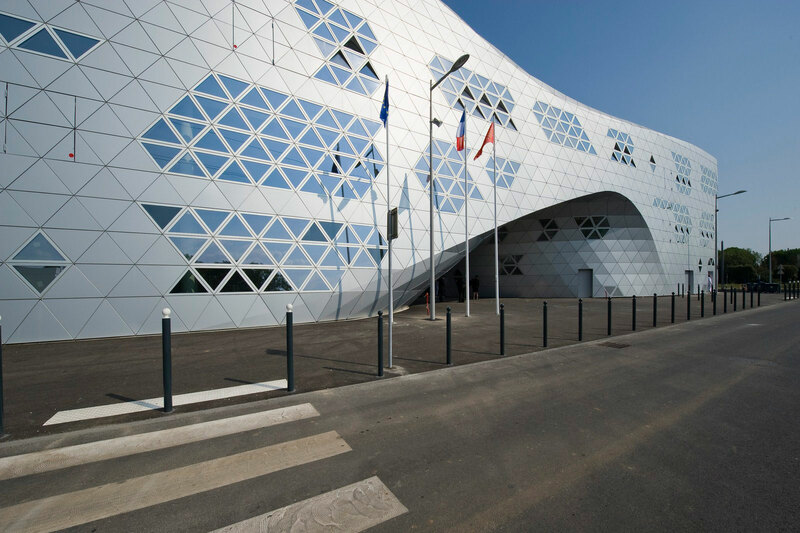 The intricate design of the Georges-Freche School of Hotel Management in Montpellier was constructed using 17,000 triangular anodized Alucobond aluminum panels. 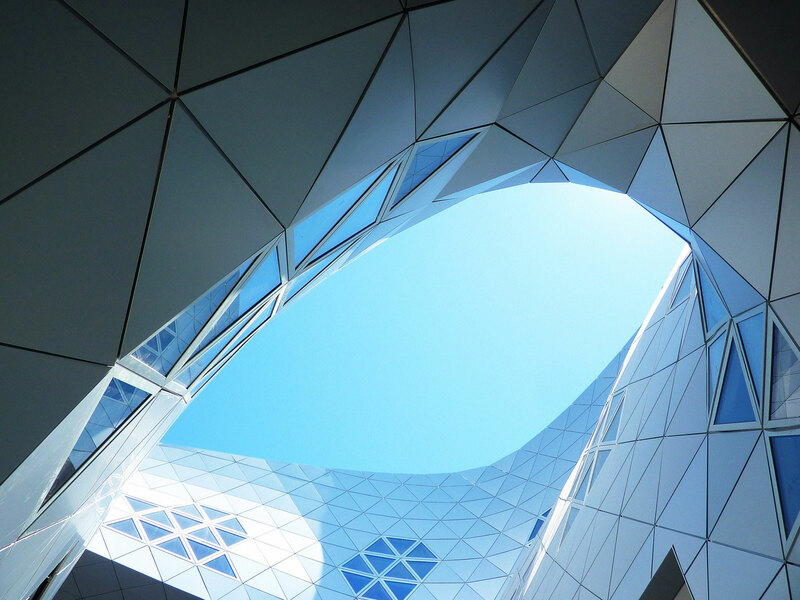 Architects Massimiliano and Doriana Fuksas punctured the building’s exterior with nearly 5,000 triangular windows, each of which are unique. Although a portion of the building is an educational facility comprised of student and management lodging, sports facilities, classrooms and administrative offices, the Y-shaped secondary building, houses a public hotel and restaurants. In addition, this building features a “teaching restaurant” where students learn pastry and bread-making skills among other things. The design of the structure was constructed as a single entity, although the two buildings are much different in terms of function. 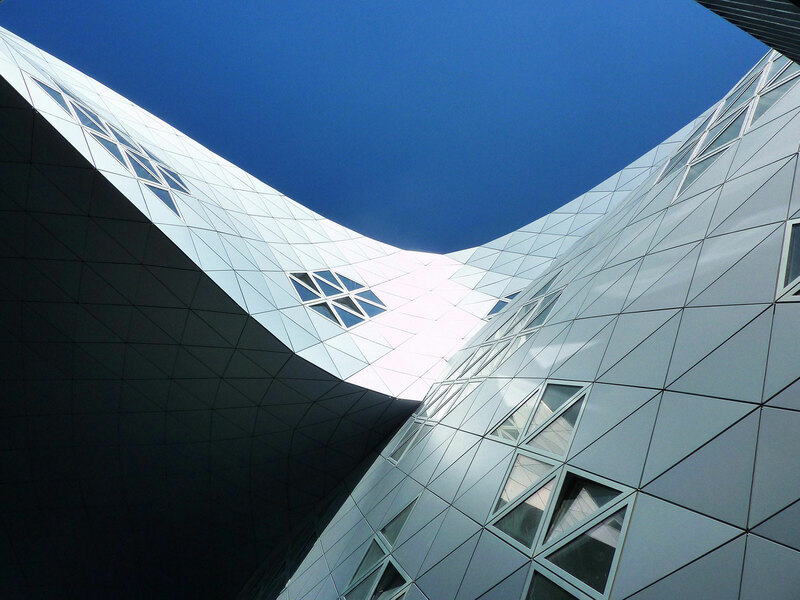 The aqueous nature of the façade was created with reinforced concrete using “shotcrete” technology, which allowed the curvature of the structure to be created. 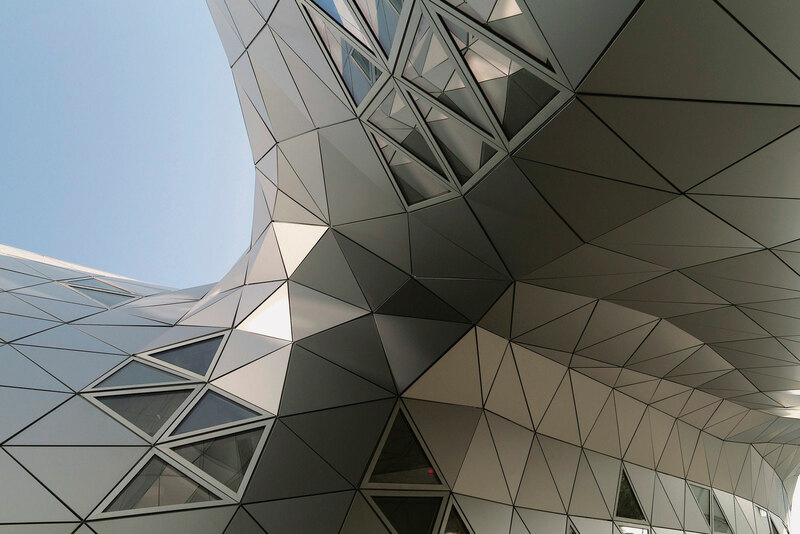 The building was then given a futuristic twist with the anodized Alucobond aluminum composite material fabricated into an ornate geometric design. Can you please send me technical drawings for the cladding system used for this project.